On Thursday, January 17th, United States Secretary of State Mike Pompeo tweeted a message from the U.S. State Department’s Farsi Twitter account asking the Iranian people to respond with their questions and hopes for the future of their country. 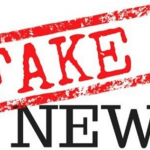 The Iranian regime’s Ministry of Intelligence and Security (MOIS) and Revolutionary Guards responded to this message by using their forces both inside and outside of Iran to quickly organize a campaign of misinformation against the MEK and the Iranian Resistance. By midnight, thousands of anti-MEK and Iranian Resistance tweets had been posted on Twitter using a number of hashtags, primarily variations of #RESTART. The tweets were produced by the regime’s troll factories in Mashhad, Tabriz, Yazd, and Tehran. The hashtags used in the campaign are frequently used by the regime in their demonization campaigns against the MEK and appeared along with the #Restart_ Opposition hashtag. They included #Iranians_hate_PMOI” and “#no_to_ Mojahedin _e_khalq, distributing hit pieces produced by the Iranian Ministry of Intelligence (MOIS). The perpetrators of the campaign used IP addresses located in the United States, Spain, and Germany in order to mask the origin of some of the tweets. The RESTART campaign was originally launched several years ago by Mohammad Hosseini and has been used by the regime and its agents a number of times since in its demonization campaigns against the MEK and the Iranian Resistance. Hosseini first gained media attention on state-run television in Iran and then joined the Khamenei-approved Green Movement. He went on to make appearances in the United Arab Emirates, Cyprus, and the United States. This is only the latest example of the regime’s cyber-terrorist actions against the MEK and the Iranian Resistance. Last August, Google, Twitter, and Facebook removed hundreds of fake accounts created by Iranian regime agents. Many of those accounts were used to disseminate propaganda against the MEK.